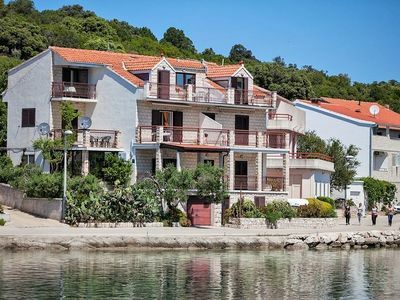 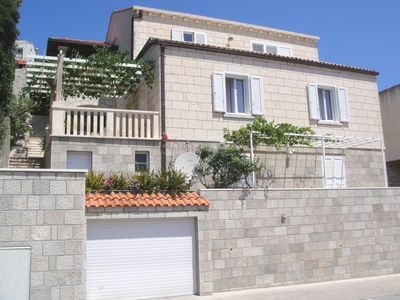 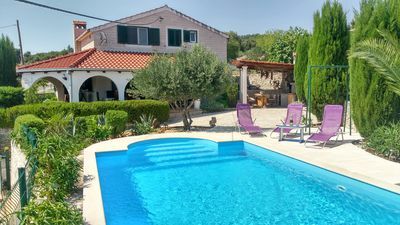 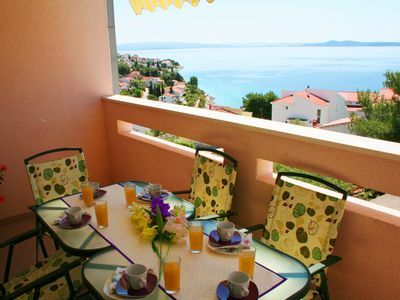 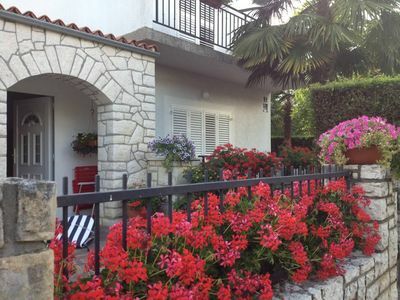 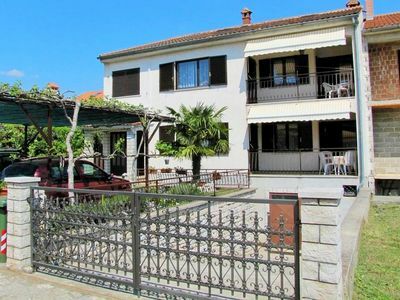 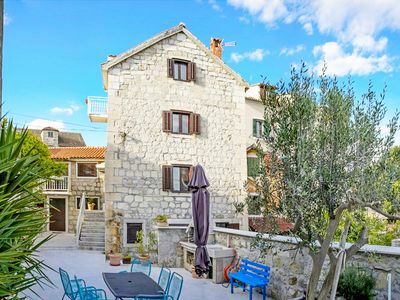 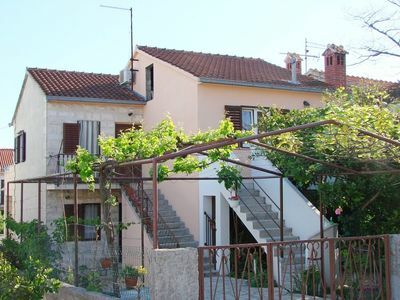 Beautiful rustic style villa,situated 10 minutes from the centre of Supetar with a pool and 3 bedrooms,sleeps 7 people.House is perfect for family with children or groups of friends looking to enjoy the Adriatic and the Island of Brač at its best. 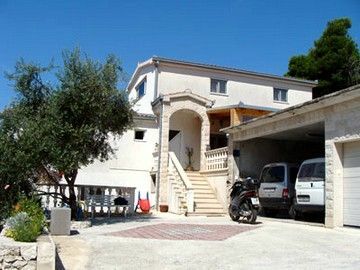 Interior of the house is homelike and consist of ground floor and gallery. 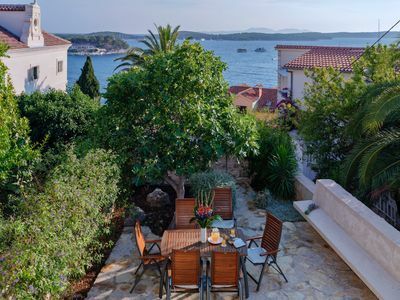 On the ground floor the open plan combines living, dining, and kitchen areas into a large living space with sliding doors that offer direct access to the terrace and garden. 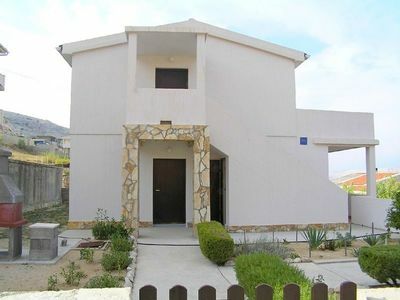 Also there is hallway and bathroom. 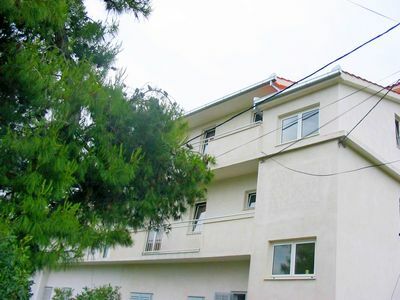 At the gallery are three double bedrooms and bathroom. 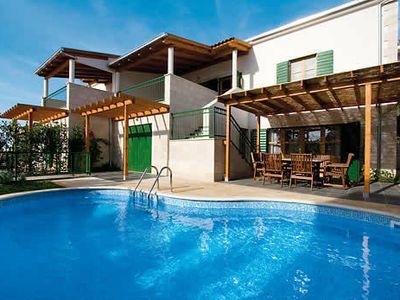 Outside, there’s plenty of external space for al fresco dining or napping on a swing. 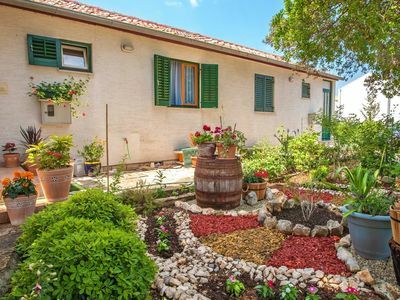 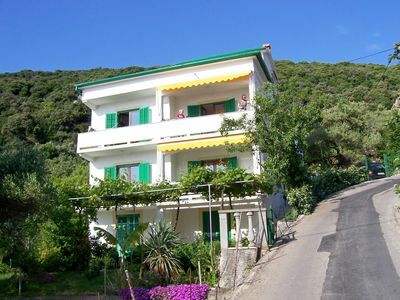 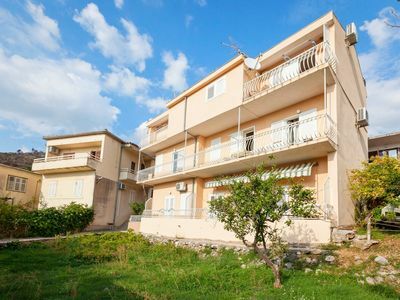 Air conditions, satellite TV, Hi-Fi, DVD player, internet, safe, hair dryer, washing machine, iron and ironing board,seating and dining chairs; fully equipped kitchen with stove, oven,fridge with freezer, dishwasher, hood, toaster, coffee maker, microwave. 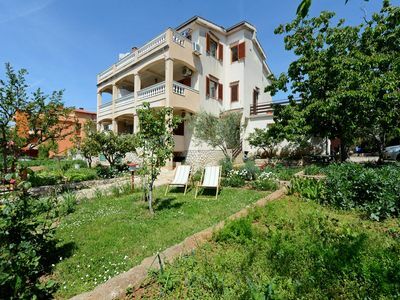 Beautiful big garden with olive, lots of space that provides privacy and freedom and safty for children, pool sized 8,5x4 meters, outside shower and dining table, inside and outside fireplace/bbq.